Man arrested for questioning has been released. Garda investigations into an alleged gun incident in Tubbercurry at the weekend are continuing. 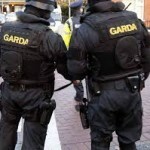 The Sligo-based garda armed response unit was deployed after a number of shots were reportedly discharged in the vicinity of the town. A man in his 20s arrested for questioning has since been released. The Garda Press Office has also confirmed that investigations are ongoing with respect to a firearm.